How to Play YouTube Video Audio in the Background on iPhone (8/7)/Android? This time we focus on delivering a solution of how to play YouTube video audio in the background on iPhone (including new iPhone 8 and iPhone 7/6S/6 Plus) and iPad in iOS or Android mobiles, because so many people are troubled by annoying "pause and resume" YouTube audio problems. While watching or listening to YouTube music video, you may get distracted by message notification or have to work on some other important tasks, for which you switch to other app and then your YouTube video will be brought to the background and stop playing. Convert YouTube Video/Audio and Play Them in the Background on iPhone (iOS 11/10/9) and Android (7.0/6.0). Right before we move into the next two sections of how to achieve YouTube background play on iPhone iPad and Android, there are a few things you need to know first. 1. 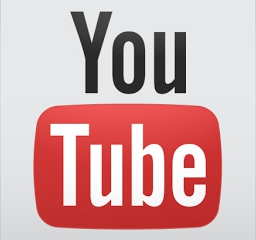 There was a native YouTube app in iPhone, iPad and iPod, which makes the YouTube background play possible, but was removed ever since iOS 6 had been released. After that, Google made its own YouTube app, which does not allow you to play audio from YouTube videos in the background, whether on Apple iPhone or Android mobiles. 2. The video would pause automatically as soon as you switch to other apps to check email, message or any others. You can't play YouTube videos in the background. The only way to resume playback is to turn back to your YouTube app/YouTube website and bring your YouTube video to the foreground, which is really inconvenient. That's why we decide to offer you this YouTube background play tutorial. 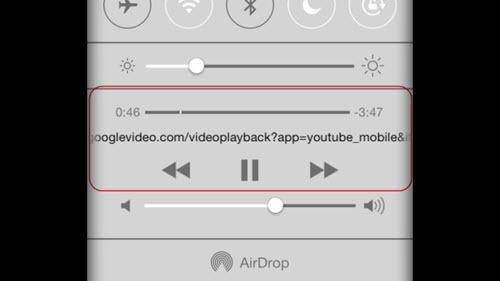 Here is how to play YouTube video audio in the background with iOS on iPhone iPad, which is pretty easy. 1. Open a web browser on your iPhone, iPad or iTouch. Anyone would be OK, the default Safari, Google Chrome, Atomic, Opera Mini, etc. 2. Go to the YouTube website and play a music video you like. 3. Tap the home button to get back to the home screen, and you will find that the YouTube video has stopped playing. 4. 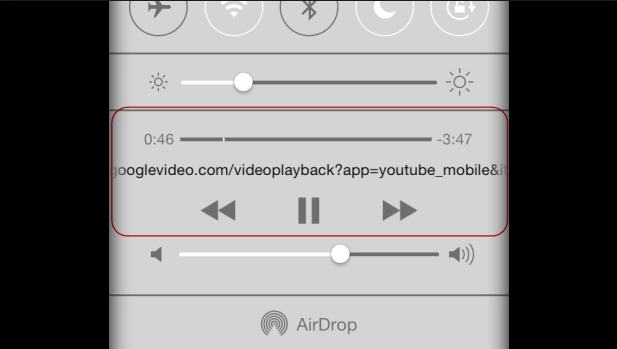 To play your YouTube video in the background, swipe up to open the Control Center, tap the Play button and the paused YouTube video continues playing in the background successfully (just the audio). Now you can switch to any app on your iOS mobiles or tap the sleep button, and the audio/music will always keep playing in the background. Things are different when you try to play YouTube in the background on Android. Just like what happened on iPhone iPad, the native YouTube app can't do background audio multitasking. If you navigate away while watching video on YouTube website, both video and audio cut out. The web browser just has to be in focus. As to playing YouTube in the background on Android, there is much more limitations than iOS. Even worse, the YouTube background play trick does not work on Android. So what should we do? 1. Download WinX HD Video Converter Deluxe and get it installed on your PC first. 2. Copy, paste and analyze the music video URL and you will get resolution/format information (select one of them). 3. Tick button "Auto convert" to get into your YouTube video converting steps. Choose the option "To Music" and select an audio format like MP3 to get ready. 4. 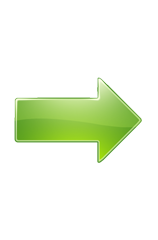 Hit button Run and start to download and convert the YouTube video to MP3. 5. Then transfer the audio files to your Android mobile and use a third-party music application to play it. Tap the Home button or Sleep button, and your music continues playing in the background. * When you receive a phone call, the YouTube background play will be paused. * Sometimes the music app would be the reason why you can't play YouTube in the background. Choose an appropriate one in the Google Play Store. 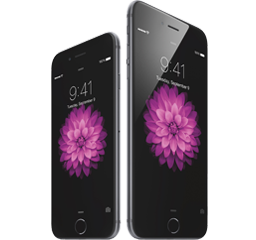 If you need to play audio from YouTube videos in the background on iPhone, iPad, Android, WinX HD Video Converter Deluxe is worth a try! How to Free Download Full Movie Videos from YouTube? How to Download Disney Movies from YouTube for Free?